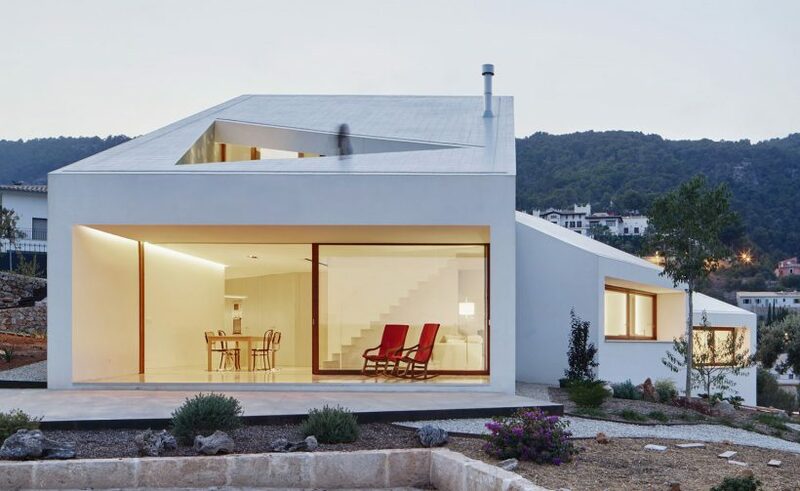 There are plenty of impressive houses around the world but one located in Mallorca, Spain has won the House of The Year award at the World Architecture Festival. The house, named MM House, won the award against 19 other houses. The MM House stands out because it was designed in boxes and has an amazing view. The boxes were positioned by the designers in areas where they could receive natural light. The house, designed by Oliver Hernaiz Architecture Lab (OHLAB), also has a roof that collects rainwater, which can then be used for the plants and consumption. The house isn’t the biggest in the world but its design and technology easily make it one of the most impressive. Heating and cooling are no problem for the house as the official website of the designers says the heat generated from the showers steam and cooking is transformed into heating. The house also has openings that allow it to stay cool. The house was completed in September and it didn’t take long for it to win one of the categories at the awards show. The MM House competed against 19 other projects and judges were impressed by what they saw. The boxes that divide the house have the living room, kitchen and bedrooms. The technology in the house allows it to save energy and water. The roof is an important part as it collects rainwater. The house also has a solar thermal system, which heats the water for the showers. OHLAB says on its official website that each area is placed carefully on the ground and rotates to find the best views. The house was reportedly made with a low construction budget and its design allows the sun to keep it hot during the winter and also cool during the summer. OHLAB had already impressed many after completing the house but the award now makes it house of the year. OHLAB also spoke about the award on its official website, saying that they were happy to share that they had won the award in Berlin for the best house at the World Architecture Festival 2016. In July, the World Architecture Festival announced all of the projects competing for the awards. The list included 343 projects from 58 countries. Previous articleXiaomi Mi Mix Nano Coming Next Month?